These monthly workshops will focus on the practice of Iyengar Restorative Yoga for relaxation, restoration, effortlessness and ease. 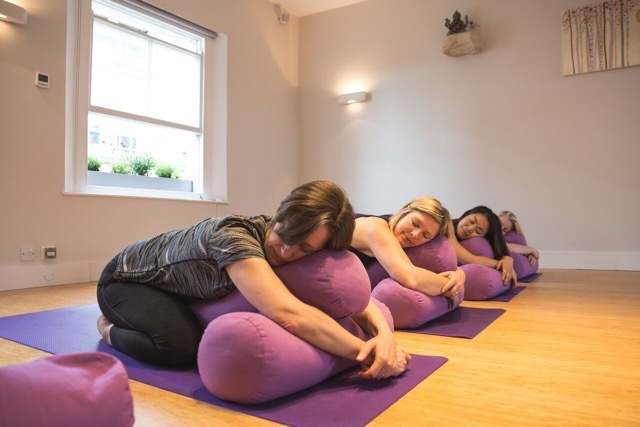 The key feature of this practice is the use of ‘Yoga Props’ such as bolsters, blankets, straps and chairs to fully support the student in each posture. This gives the practitioner the opportunity to completely surrender and let go of any holding patterns, physically, mentally or emotionally. The practice will soothe the nervous system, bring greater awareness to the breath, quieten the mind and cultivate an inner state of peace and harmony. Restorative classes are particularly beneficial for anyone feeling tired, stressed, or recovering from illness or injury. Suitable for all levels.